We all know Pride & Prejudice is magic, right? Well, in Mr. Darcy’s Enchantment, the magic is real. So is the traditional land of Faerie – the same Faerie Shakespeare wrote about in A Midsummer Night’s Dream. But the story is about Darcy and Elizabeth, not about the inhabitants of Faerie. The vast majority of the book takes place in the Regency world at Rosings and in London, but our dear couple does visit Faerie on several occasions. I particularly enjoyed writing Darcy and Elizabeth in Faerie because it reverses their roles. Darcy is on top of the heap in the mortal world – rich, well-connected, and one of the most powerful magicians in England. Elizabeth is far beneath him. But Elizabeth knows her way around in Faerie, and Darcy doesn’t. Nobody there cares about his money or his connections, and as for his magic – pfft! Any fay creature can outdo Darcy’s magic. They dismiss Darcy as unimportant, and he has to rely on Elizabeth to keep him safe. You can just imagine how his pride suffers! I’ve published excerpts elsewhere, but none of them have been set in Faerie. This one is Darcy’s first visit to Faerie, and the only thing he knows for certain is that it’s very dangerous to tell lies in Faerie. Enjoy! The palace, for that was the only term Darcy could apply, truly was made of silver filigree. How could it possibly stand? The walls should not be able to hold a roof, and the towers ought to have collapsed of their own weight. It was disconcerting to see the laws of nature so casually violated. No one met them at the door. Elizabeth looked at him, shrugged, and entered. Darcy followed close behind her, hoping uninvited guests were not slain on sight. It would seem in keeping with the barbaric glamour traps. A tall silver throne sat at the far end of an impossibly long hall, with an equally tall, equally impossible being slouched in it. He was surrounded by fay folk. Darcy recognized dryads and sprites in his retinue, along with some diminutive figures he could not name. Drawing closer, he could see that everything about the laird was longer than he expected – longer legs, longer arms, and long, tapering fingers. His cheekbones were prominent and his chin narrow, and he was dressed in a tabard made from cloth of gold trimmed with sea green silk. His hair was spun gold and hung nearly to his shoulders, making him a picture of unearthly beauty sitting in a beam of impossible indoor sunlight. Cuffs of silver filigree covered his lower forearms. Darcy had never seen a Sidhe, the most powerful fay, but he had no doubt the being before him was one. Elizabeth halted a short distance from the throne and lowered herself into a deep curtsey. Darcy opted for the most cautious course and made his court bow. “What brings mortals to my hall?” The Sidhe’s voice seemed to contain chiming bells. The fay lord stepped down from his throne and paced in front of them. Darcy was unaccustomed to having to look up to see someone’s face, and he did not like it, especially given the fay’s grim expression. There was something odd about his tilted, emerald green eyes, their pupils shaped in tall ovals not unlike a cat’s eyes, under eyebrows shaped more like wings than arches. His skin was pale and translucent like fine porcelain. The sight of him sent a shiver down Darcy’s spine. The fay lord silently paced back and forth, back and forth. “Throwing yourself into Faerie because you were worried?” he asked scornfully. He was going to have to say it. “I love her.” He avoided looking in Elizabeth’s direction. Darcy interjected, “She does not.” He would rather say it himself than hear Elizabeth saying it. Darcy stared at her, repeating her words in his mind. They made no sense. But surely it was better than a straightforward denial, was it not? “Murdered? Do you mean cutting it down?” asked Elizabeth in bewilderment. “I have never harmed a tree in a faerie grove.” Elizabeth sounded more certain this time. “I have never cut down any trees in a grove.” Why was it so important? Were the trees sacred to the fay? What treaty? How could he respond to this? “I beg pardon for my ignorance, Lord, but I do not know what treaty you refer to.” Was that suitably humble? “The only treaty! The Great Treaty between fay and mortals. We gave you your freedom, and you preserved our groves!” He practically spat out the words. How was he to admit he had never heard of this treaty the fay held so dear? “How can this be?” he cried. He stalked back to his throne and threw himself into it. It could not be. Or could it? Last spring one of the neighboring landowners had cleared a forested area that bordered on Rosings Park, and now fay attacks were common there. Surely the ring they had traveled through should serve the same purpose, and it was close by. But he knew nothing of how faerie rings worked or why they were important. “Is there something we should do? Does he wish us to leave?” Darcy asked in a low voice. A dryad-like creature draped in a diaphanous green silk drifted silently towards them, stopping just in front of Elizabeth, but not looking at them. An apple on a silver plate appeared in her hand. Elizabeth stiffened, but she took the apple. “I tha… Eating this will give me great pleasure.” Her voice shook. The dryad made no acknowledgment before continuing her journey across the hall. Good God, what might they have overheard from his thoughts? They could not hear them all, or there would be no need to ask questions. Perhaps they could only hear thoughts that expressed strong desire. If that was the case, the Sidhe lord should know all about his desire for Elizabeth’s love. Even through his fear, he ached for her. The Sidhe gestured to another dryad. She glided towards them with a gem-studded silver cup in her hands. She offered it to Elizabeth, who drank from it and returned it to her. The dryad held it out to Darcy. Society would hold it rude for a man to drink from the same glass as a lady, but here it seemed expected. He took a careful sip. It was a sweet, flowery wine that sparkled like champagne, and it made his head spin a little. He handed it back to the dryad, who offered it to Elizabeth again. Elizabeth hesitated briefly before taking it and drinking from it again. She turned towards him and offered it directly to him, watching him closely. If she thought he should drink it, he probably should. He took it and drank again. Now his head definitely spun for a moment. Was there some drug in the wine? Was it safe? Elizabeth seemed untroubled by it. The dryad took the goblet from him and walked away. The Sidhe lord seemed to come to some sort of conclusion. He strode towards them once more. “Walk with me,” he commanded. Darcy and Elizabeth trailed after him through the impossibly long hall, half running to match the pace of his long legs. At the far end a wooden door suddenly appeared in what had been a filigree wall a moment before. It opened itself, revealing an enormous garden filled with climbing vines and exotic flowers with a hauntingly beautiful scent. “If there is a way to end the war, we would do anything in our power to promote it,” Darcy said carefully. “I am glad to hear it.” The Sidhe held out his hand, now holding two tiny cakes. Was this some sort of ritual? Darcy followed her example. Like the wine, the cake tasted of flowers, and again, his head spun. “Into the gazebo,” he ordered, pointing a long tapering finger. The silver filigree looked too fragile to hold Elizabeth’s weight, much less his own, but Darcy was beyond arguing. He followed Elizabeth, grateful the floor seemed to support him. But only for a moment. The floor dissolved under him, and he struck cold earth with a bone jarring thud. They were in the faerie circle at Rosings and the spell book still sat outside it. Sharp knives seemed to be stabbing into the arm he had fallen on. Beside him Elizabeth pulled herself to a sitting position and rubbed her hip. “Are you hurt?” Darcy asked. “I noticed,” he said dryly. Abigail Reynolds may be a nationally bestselling author and a physician, but she can't follow a straight line with a ruler. Originally from upstate New York, she studied Russian and theater at Bryn Mawr College and marine biology at the Marine Biological Laboratory in Woods Hole. After a stint in performing arts administration, she decided to attend medical school, and took up writing as a hobby during her years as a physician in private practice. 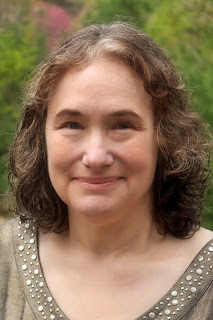 A life-long lover of Jane Austen's novels, Abigail began writing variations on Pride & Prejudice in 2001, then expanded her repertoire to include a series of novels set on her beloved Cape Cod. 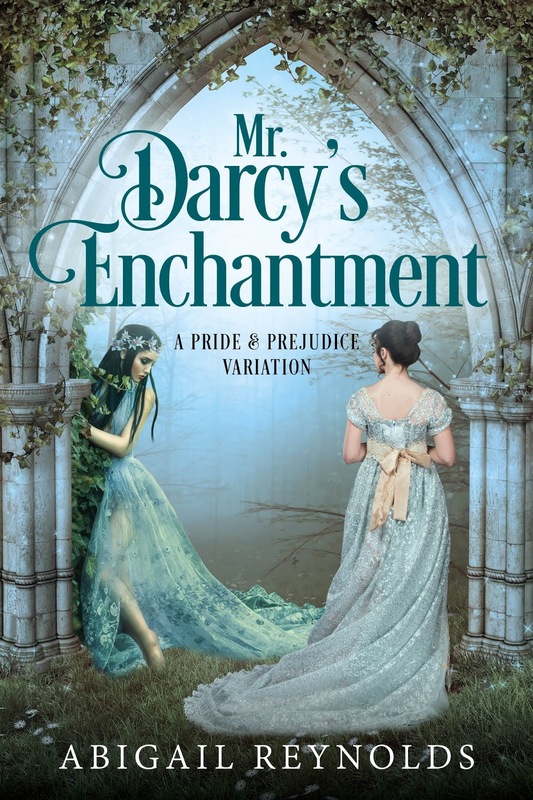 Her most recent releases are Conceit & Concealment, the national bestsellers Alone with Mr. Darcy and Mr. Darcy’s Noble Connections, and Mr. Darcy's Journey. Her books have been translated into five languages. A lifetime member of JASNA, she lives on Cape Cod with her husband, her son and a menagerie of animals. Her hobbies do not include sleeping or cleaning her house. 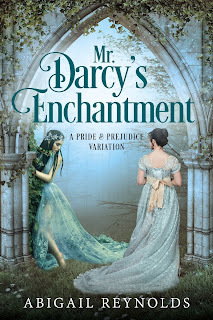 Abigail is very kindly giving away 2 ebooks of Mr Darcy's Enchantment. To win, just comment on this post! Please leave a way for me to contact you in case you are the lucky winner. Closing date is the end of the day on Sunday 23 December. Thank you so much to Abigail for the generous giveaway! I have to admit that I read this book on kindle unlimited. I loved it. My favorite Reynolds book by far. Very Harry Dresden meets P & P.
I'm so pleased to hear it's your favourite by Abigail Reynolds. I am looking forward to reading it. Thanks Ceri for hosting. I already have a copy of the book. I just wanted to stop by and say congratulations to Abigail Reynolds on the success of this work. I really enjoyed it and want to encourage others to grab their own copy. This had to be the longest list of evil characters I've ever seen. Scared the crap out of me on more than one occasion. Whew! It will take me a while to recover from this one. I loved Darcy and Elizabeth. Sorry, I got carried away there. Congratulations again and good luck to those in the drawing. Thank you, and feel free to get carried away on that subject any time! :) I'm so glad you enjoyed it. This is such a wonderful mix of fantasy and Pride and Prejudice. Plenty of angst and times of worry. It is a book that is very difficult to put down. Good to luck to those of you entering. You will love it. Thank you so much! My twenty-something daughter called me recently and said, "Mom, I hate you, I need sleep, and I'm renaming my cat [presently named Pip] Pepper." So I guess she found it hard to put down, too! I hope it's not too angsty, Deborah Ann, because I am a bit of a sensitive lamb! Although I do like some angst. I'm glad you enjoyed it so much. I have nothing but, wonderful reviews. I have already purchased this book and it is in my to read pile. Good luck with others entering the giveaway. Thank you, and I hope you enjoy it! I've been hit with a couple of bad reviews in the last few days, so I appreciate the reminder that there have been many wonderful ones as well! I hope you enjoy reading it, Shelley. I hope to read it very soon! Okay, I'm hooked! To be honest, I don't usually love fantasy (with the exception of Harry Potter! ), but I do love Abigail Reynolds, and I've been hearing such great things about this book. And that excerpt sealed the deal. :) Ceri, you know where to find me if I'm lucky enough to win the giveaway. If not, I will be purchasing a copy! Jennifer, I'm so glad you'll be giving it a chance! I'm thrilled every time a reader who isn't into fantasy gives it a try. It's much more like Harry Potter than The Hobbit. Hi Jennifer. Although I don't tend to read fantasy as a genre (aside from Harry Potter, like you!) I don't mind fantasy elements as long as the characters are enjoyable. I've read JAFF with fantasy elements before and liked it. I can't wait to read it! And I will have the honor of translating it into Spanish!!!! Thanks, Tere! I hope you enjoy it. That's so awesome, Tgruy, that you get to translate it! Abigail Reynolds was my first P&P Variations author that I read. She opened up a whole new world for me which I am ever so grateful for. I was a history major at University and my favorite time in History is the Regency/Victorian era. To have access to so much history, pictures, first hand information and knowledgeable comments is amazing. Then Abigail Reynolds throws another twist into the machinery, that of the fae world. This reminds me a bit of Shakespear play A Midsummer Dream, I loved it and I am very earger to read how Ms. Reynolds married the two. This small snippet is very intriguing and has me hooked. Hi Unknown. Thanks so much for commenting. If you'd like to enter the giveaway, please can you add your name to your comment or even better, some contact details? This book was highly anticipated and worth every minute of impatience of it being published. It was in my top five favorite books of the year. I'll be rereading it again and again in years to come, (much like so many other Abigail Reynolds books.) I wasn't a fantasy reader either, except Harry Potter :) and Maria Grace's dragon series. I cannot recommend this highly ENOUGH! When I finished it I just sighed 'wow.' I would love my own copy as I read it on KU but it will get to my library soon regardless. Wow, thanks so much! It means a lot that you gave it a try and that you loved it. Thanks for making my day! So glad to hear such enthusiasic praise of this book, Michelle! I am looking forward to reading it! I have never read a fantasy JAFF before but Abigail’s books were the first JAFF I read and she got me hooked! It's very true, there isn't much fantasy JAFF out there. I hope you enjoy the book when you read it, Lily! I also read this on KU but would love my own copy for the future. Her books are ones I have reread in part or in whole over and over again. Loved this one. I agree, Sheila, Abigail's books are definite re-readers. Glad to hear that you enjoyed this one. I already have the eBook but wanted to comment and say how much I liked Abigail's story. Jen, I'm so glad you liked it! You've always been such a great supporter of JAFF writers, and I'm so glad you're publishing your own books now. Thanks for the comment, Jen! Glad to know that you enjoyed the book. Oh my goodness...the visuals, the scents, the tastes were so tantalizing...as if I was experiencing them myself! Thank for a chance at the giveaway! Later in the book, Elizabeth drinks faerie wine which tastes of apple blossoms and elderflowers in the moonlight, and one reader has already tried to recreate this drink with sparkling apple juice and elderflower liqueur. I really want to try that! Good luck in the giveaway, Carole! If you love fantasy books already it must be good to have it mixed with JAFF! I hope you enjoy this when you read it. This was a fabulous story and I loved this fantasy world mixed with the P&P story. So glad you enjoyed it, Sophia! Glad you enjoyed it, Sophia! I'm really looking forward to reading it. Love Abigail Reynolds stories. Can’t wait to read this one. I’ve read ‘Alone with Mr. Darcy’ at least a dozen times, as well as ‘Darcy’s Refuge’ and your other books. I’d love to read this one too. A known story in an unknown setting.... I’m very curious! Hi Heleen. I meant to read Alone with Mr Darcy but it came out later than expected and when it came out I had a full reading schedule. It's a book I hope to read this year, so I'm glad to hear such praise for it. I loved Mr Darcy's Refuge too. I am intrigued by the story. I have not read a P&P with magical elements before and this will be my first. Thank you for the giveaway, Abigail. Just had the opportunity to read the book! Loved it! The ending left me wanting more!!! I can't wait to read it, Dung! So glad you enjoyed it.